Sometimes you need to find out a transaction code for an IMG activity in SPRO. 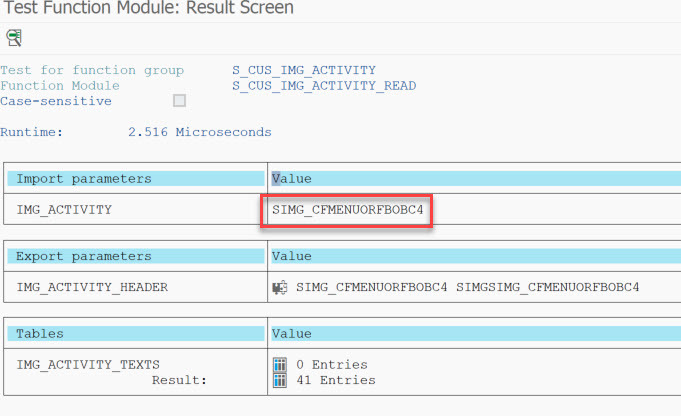 Second option is using a function module S_CUS_IMG_ACTIVITY_READ. It takes one input parameter – Activity ID. 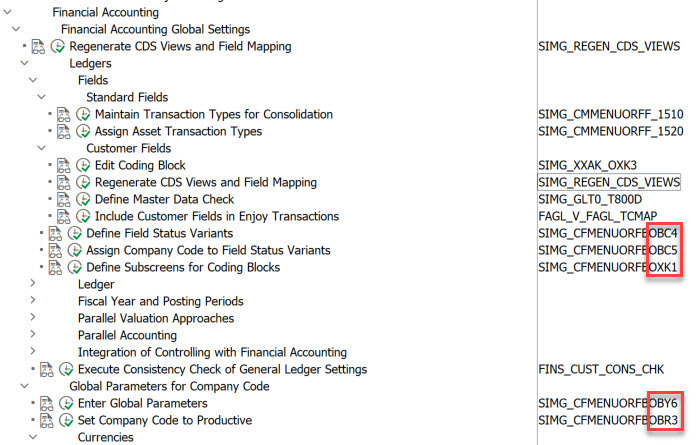 This entry was posted in ABAP, Customizing, Development and tagged ABAP, SPRO by Spider. Bookmark the permalink.